Osram Invests in LiDAR Expert LeddarTech Inc.
WILMINGTON, Mass.--(BUSINESS WIRE)--Osram has acquired a strategic 25.1 percent share in LeddarTech Inc., a Canadian company that develops a proprietary LiDAR technology integrated into semiconductors and sensor modules for self-driving cars and driver-assistance systems. 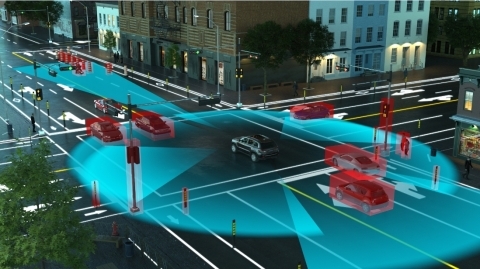 LeddarTech specializes in solid-state LiDAR (Light Detection And Ranging) systems that use infrared light to monitor the area around them, and its advanced optical sensing technology is highly complementary with Osram’s semiconductor products. The two companies already work together and Osram has now made an investment in LeddarTech in the mid double-digit million euros. “Osram is already the world’s leading provider of sensor lights for autonomous vehicles and is experiencing steadily rising demand in this field. We see the investment in LeddarTech as a logical step on the way to becoming the leading provider of solutions in this area,” said Stefan Kampmann, Chief Technology Officer at OSRAM Licht AG. Osram’s investment in LeddarTech is a response to the growing demand for LiDAR technology – an essential component in self-driving vehicles and in many other mobility-related applications. LiDAR is similar to radar technology in that it detects objects and measures distances and speeds, but it is based on infrared light. LeddarTech was established in 2007 and is based in Québec, Canada. OSRAM, based in Munich, is a globally leading lighting manufacturer with a history dating back about 100 years. The product portfolio includes high-tech applications based on semiconductor technology such as infrared or laser lighting. The products are used in highly diverse applications ranging from virtual reality, autonomous driving or mobile phones to smart and connected lighting solutions in buildings and cities. In automotive lighting, the company is the global market and technology leader. Based on continuing operations (excluding Ledvance), OSRAM had around 24,600 employees worldwide at the end of fiscal 2016 (September 30) and generated revenue of almost €3.8 billion in that fiscal year. The company is listed on the stock exchanges in Frankfurt and Munich (ISIN: DE000LED4000; WKN: LED 400; trading symbol: OSR). Additional information can be found at www.osram.com. LeddarTech is the developer and owner of Leddar, a patented solid-state LiDAR sensing technology that constitutes a novel approach in light detection and ranging. Developed over 10+ years of R&D, Leddar is a unique combination of advanced light wave digital signal processing and software algorithms that enable the production of solid-state LiDARs delivering superior performance and reliability at the highly competitive price. 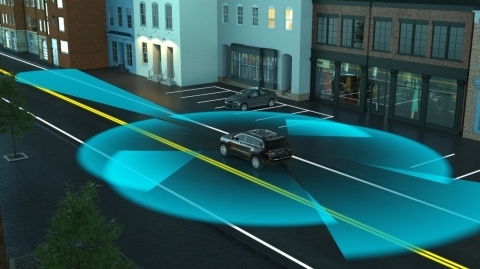 LeddarTech’s sensors are used in multiple mobility-related markets including automotive, intelligent transport systems, drones, and industrial vehicles. 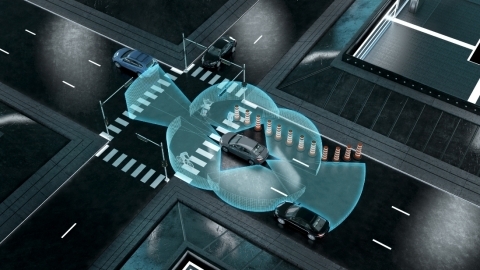 LeddarTech technology contributes to improving our safety and our quality of life through applications minimizing the risks of accidents, reducing traffic congestion, and improving transport efficiency. Additional information can be found at www.leddartech.com.